Wedding Chairs are so important at your reception or wedding. Of course your guests need a place to sit and enjoy the celebration of love, but sometimes the right chairs add the perfect touch. Perhaps you want a finish that resembles wood, or the elegant chiavari chairs. 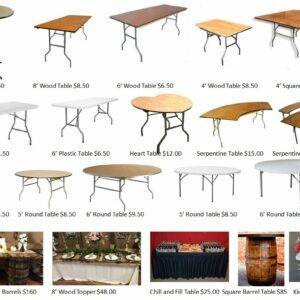 We have all of those, and you can preview these in our showroom to determine what perfectly fits your Cincinnati Dayton Wedding Rental! 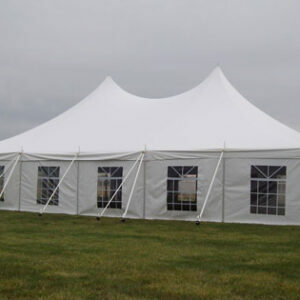 Tents are another very necessary item if you are having an outdoor wedding or reception. Whether you are looking to shield your guests from weather, keep them out of the sun, or just make a landmark for all to know where to go, a wedding tent rental is a good choice to keep your wedding perfect. Linens draw everyone’s attention when they walk into the reception room. From dazzling blue tabletops, to a sparkling clean white finish, we have every linen you could need for your wedding, at an affordable price! The best place to see all our linens is in our showroom, where we can work with you to find the best items to make your wedding as perfect as it can be! A&S Play Zone offers a dance floor that is perfect for high level events like a wedding. It is brand new, and adjustable to meet your needs! Think of all the wedding traditions that occur on the dance floor. The first dance, the throwing of the flowers; so many memories can be created forever!